First reptile (leo) coming soon, any suggestions? Thread: First reptile (leo) coming soon, any suggestions? 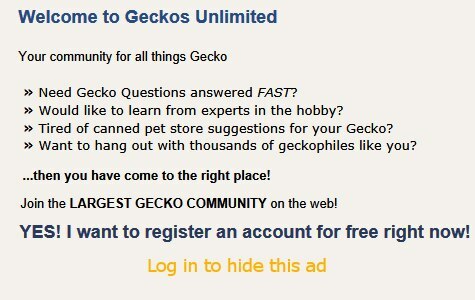 So I have been redirected back here so many times through google while doing research that I decided to make an account before I officially get a leopard gecko. It's my first reptile and I have always been nervous about reptiles because I am paranoid about the fire hazards of heating. However with the use of a thermostat I feel a little better knowing that my heat source (under tank heater) shouldn't get above 90-92 degrees F.
I don't know does this all look/sound good? Any general advice? The set-up looks good in general. Most people feel that there is danger of the gecko getting too much calcium/D3 so keeping it in the enclosure is not really recommended anymore (I only do it for hatchlings). See if you can find Elizabeth Freer's care sheet on this forum. It includes a dusting schedule. I use Repashy Calcium plus and dust feeders every other feeding. I suggest using Zoo Med's Reptivite multivitamins without D3 and Zoo Med's Repti Calcium with D3. If your new leo is older than 12 mo, see schedules 125 and 126. See the link in my signature. One place to order Zoo Med's Reptivite without D3 is the Reptile Supply Company. The quality of your feeders highly depends upon their diet. Last edited by Elizabeth Freer; 06-22-2018 at 02:21 PM. "Lettuce (except dark, leafy greens) is just water and nutritionally irrelevant. People don't even give lettuce to tortoises and iguanas because it's worthless as food. The same could be said for potatoes. Fish flakes are very high in protein and this can lead to a build-up of uric acid in feeders/reptiles and end up causing gout. A little now and then is fine but this should never be the bulk of any gutload. "A commercial gutloading food like Bug Burger or Superload (both by Repashy), Cricket Crack, Dinofuel, etc. is going to make your life easier AND provide a nutritious diet to your crickets at the same time. Avoid Fluker's gutloads, as they are super feeble in their formulas. Best: mustard greens, turnip greens, dandelion leaves, collard greens, escarole lettuce, papaya, watercress, and alfalfa. ------>"As far as how to keep crickets, a large plastic storage container will work well, but really anything with smooth sides. On a large plastic container you can cut out a panel on two sides and glue on aluminum screening (and do the same on the lid) and this will provide plenty of air flow. Bad air is the #1 killer of crickets, along with poor hydration, so having good airflow will make the difference if you start getting into bulk orders of crickets. ------>"And I just dust mine using a large plastic cup. You don't need to coat crickets in a thick layer of calcium. Just put a pinch of calcium into the cup, get some crickets into the cup, swirl, and dump. The crickets end up evenly but lightly coated and there isn't any excess calcium left over." Last edited by Elizabeth Freer; 06-24-2018 at 03:37 AM. Thanks! I did buy the flukers gutload but I will switch to something else. I also have carrots in there now in addition. I plan to add more. I have dubia roaches and mealworms for now, and I plan to add in the occasional hornworm and possibly pheonix worms (called nutrigrubs by dubiaroaches.com) later on.